This well-presented semi-detached villa is located within easy reach to City centre, Titanic Quarter, popular Ballyhackamore and easy access to all M3 motorway. Downstairs hallway leads to bright and spacious lounge and further opens up to luxury shaker style fitted kitchen - open plan to ample dining area. Upstairs there are 3 bedrooms - master with ensuite shower room and family bathroom with luxury white suite. Property offers garden to the front and rear, off street parking. 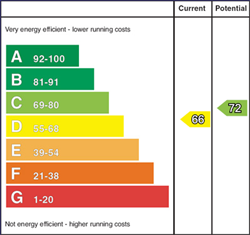 It further benefits from gas central heating and fully uPVC double glazed windows. This property will make a lovely home for a first time buyer or good investment opportunity.